March 11, 2013 By Tina M 10 Comments This post may contain affiliate links. Read my disclosure policy here. I am super excited about this felt book tutorial! I love all the quiet book ideas that are floating around, but after reading about how many hours they take to make and that it can cost upwards of $50 to make one, I came up with a better idea. I loved my flannel board growing up, and decided to make a portable “felt book” version that can be taken in the car or to church. I call it my “felt quiet book,” but it’s different from the traditional quiet books out there. Rather than have several pages with hand-sewn buttons, snaps and zippers, it is simply a flannel board; however, there are many more possibilities for its use due to all the printable stories and images that are available on the internet these days. Find an old book that has a hardcover, or buy one at the thrift store. 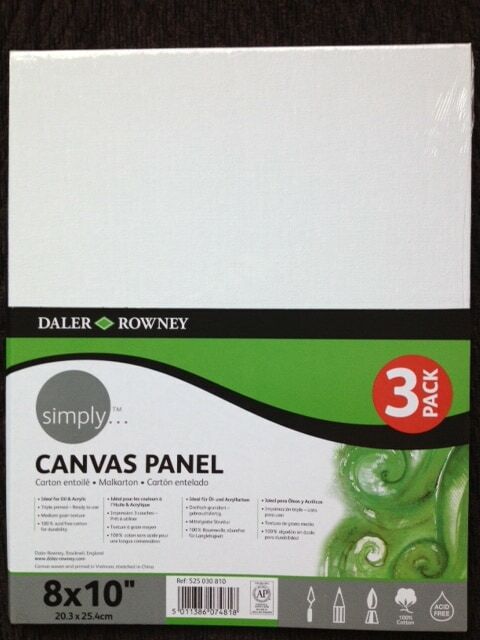 Buy 1 or 2 canvas panels (depending on if you want your felt book one or two-sided). Make sure the canvases have dimensions just slightly smaller than the book you chose, and make sure they are thin enough to fit inside your felt book (stores have thick and thin versions of the canvas panels). Step One: Cut the pages out of your book, leaving just the hardcover. 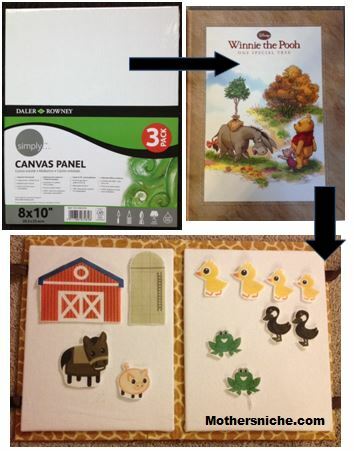 If you want another fun project, you can save the pages from the book, cut out the images and characters, laminate, and make magnets out of them for your kids. 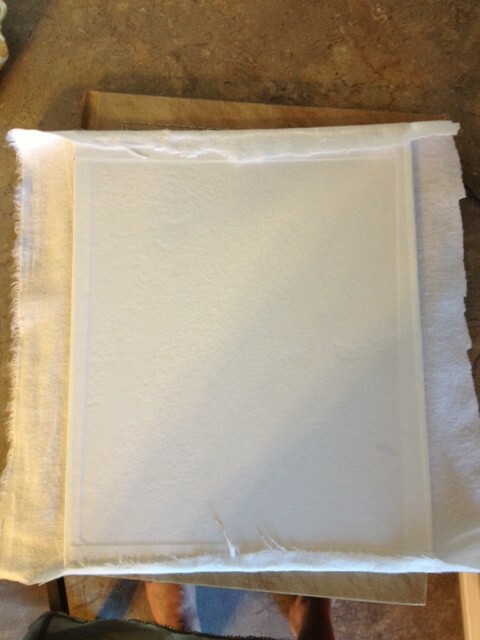 Step Two: Cover your canvas panels in flannel, pull the edges tight, and hot glue on the backside. Don’t worry about cutting your edges straight, since the backside will not be showing once you are done. *When making flannel boards, you use flannel for the board, and felt for the pieces. Just wanted to clarify since it can be confusing. 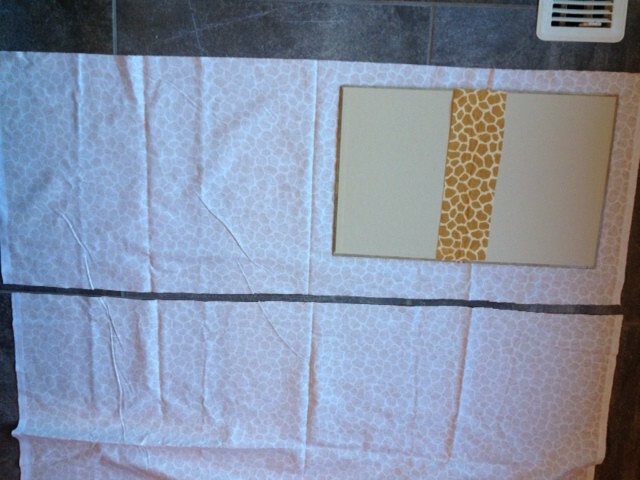 Step 3: Cut a rectangular strip of fabric to go along the inside spine of the book. 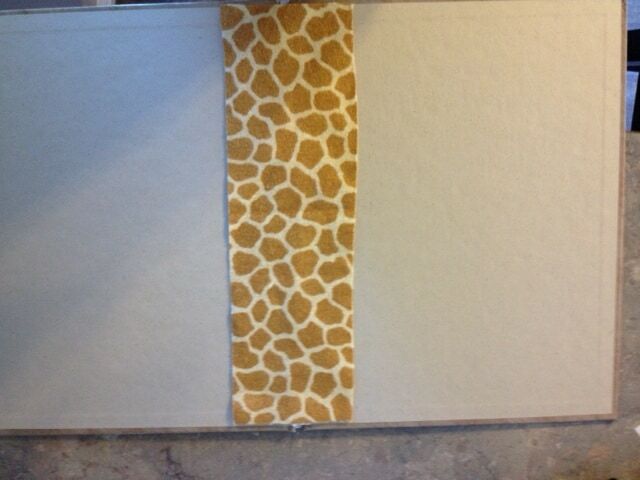 I used giraffe-printed flannel because the fabric is thicker, but you can use whatever you want. 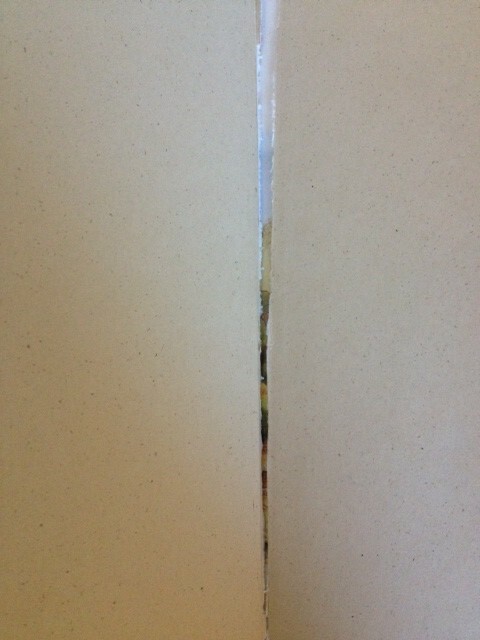 Make sure you cut it wide enough that the left and right edges will be covered by your canvas panel. Don’t glue it down yet. 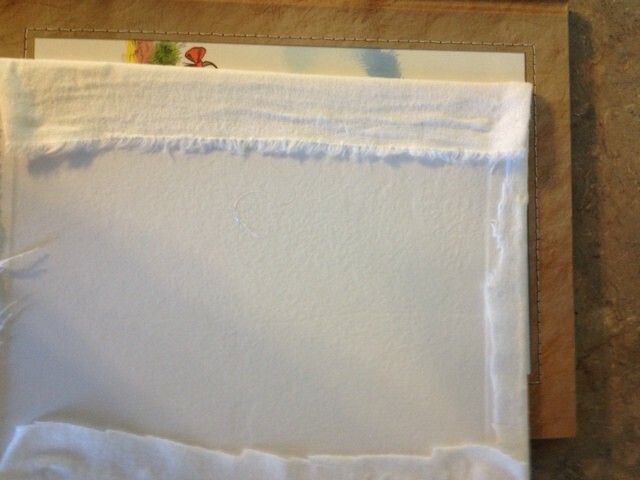 Step 5: Pull very tightly and start gluing your fabric to the inside of the book cover (once again, make sure the fabric goes far enough in that the raw edges will be covered by your canvas panels. 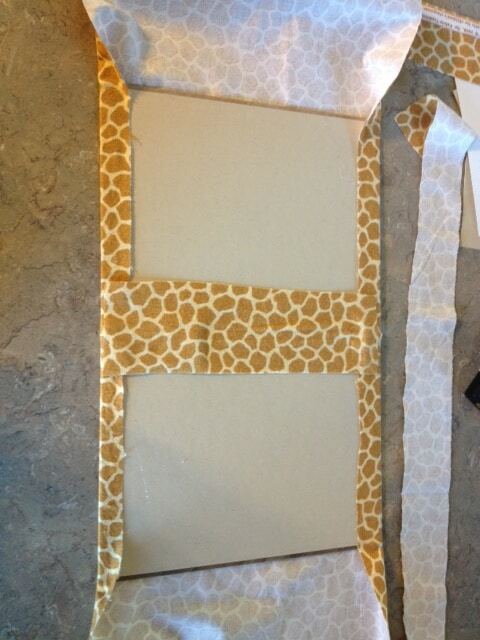 Step 6: glue your rectangular piece onto the inside of the spine. This is the only place where you will have a raw edge (top and bottom of spine), but you can’t even notice it if you cut your edges straight. 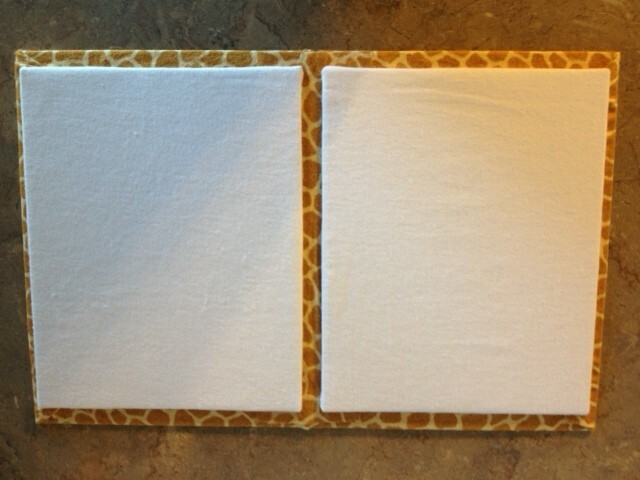 Step 7: Glue Your Canvas panels into the book! TIP: If you are going to want your felt book to tie shut with ribbon, you should glue the ribbon down right before you glue the canvas panels down. I decided on the ribbon after I was done, which was not as easy. YOU’RE DONE! 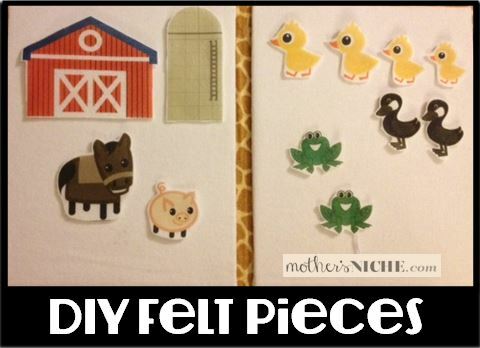 Now it’s time to make your own flannel board pieces to go with your felt book! 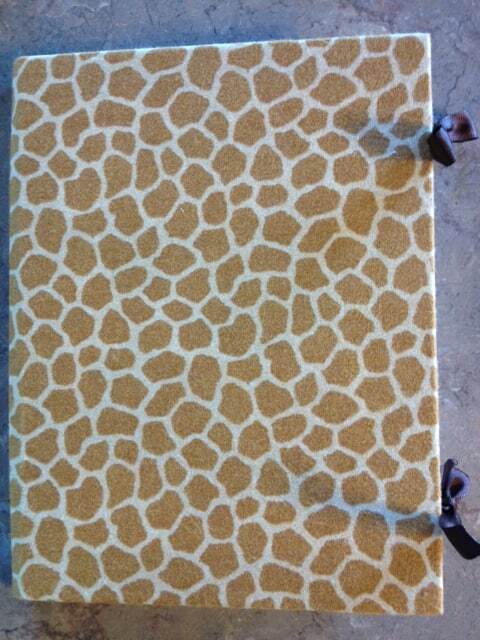 and here’s a pattern for felt board people. This project took me about 20-25 minutes to make, and cost about $5. Have you ever made a quiet book? How much did it cost you to make? I know, right? These are PERFECT for road trips! I was thrilled with how easy it was to make too. Have been thinking about making something like this for a while! Thanks so much for the inspiration! Will be pinning this! Would love for you to stop by my blog and say hello sometime! Adorable! I know just the kid to make this for! Very clever! I loved these as a kid, and my kids did when they were little too – I don’t know why I never thought to make my own! Thanks so much for linking up on Hookin on Hump Day! 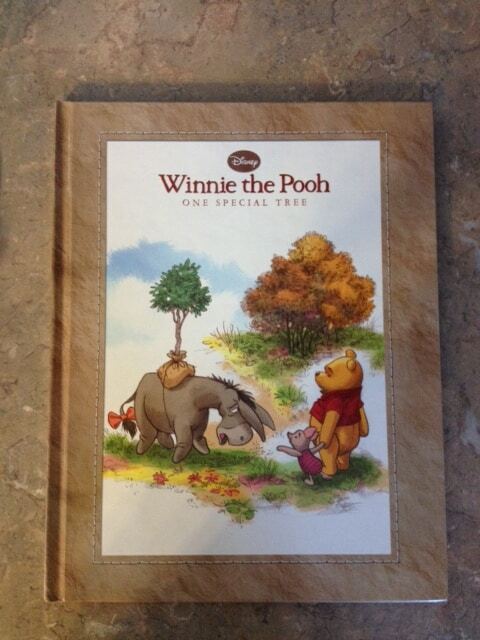 This is a MUCH more doable project for me vs the traditional DIY flannel books. I’m so glad I came across your blog….THANK YOU!! !